I've wanted to watch A Ghost Story (2017) since I saw the earliest publicity images for it over a year ago. At first I was a bit alienated by it. I'd heard it described as a film about death - about grief specifically - but I found the earlier scenes fatally underdeveloped. The stilted, drawn-out, almost 'pornographic' depiction of mourning felt unnecessarily laboured. 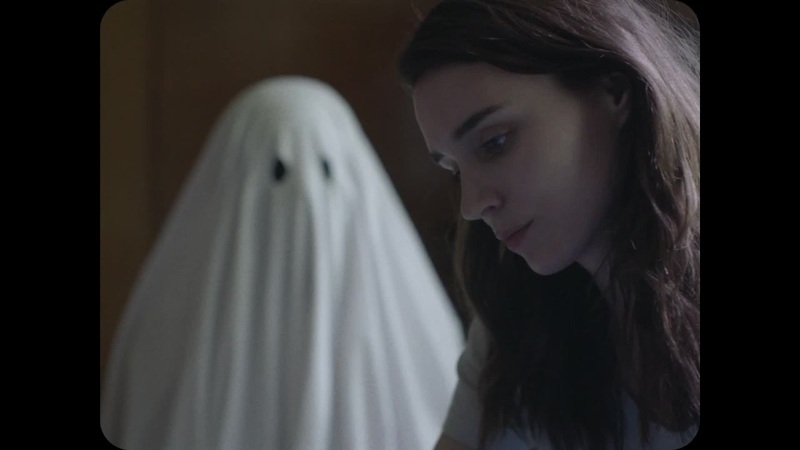 Without a strong connection developed between its two initial protagonists during the short scenes before Casey Affleck's character dies in a car accident, it was difficult to feign interest in the story, and the subsequent scenes of Rooney Mara's extended grief spiral seemed unearned. Then Mara's character reaches a kind of catharsis and leaves, but the film doesn't end with it. 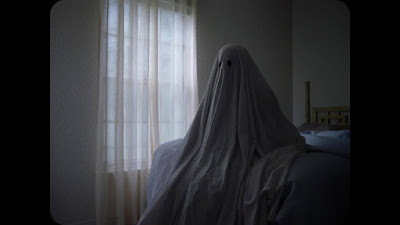 Affleck's ghost remains in the house, and witnesses years of life and solitude, birth and decay unfold all around him. Scene after scene, the film kept unfolding, revealing new depths, new secrets, like a succession of Chinese boxes; each new sequence broadening and enriching the story and the themes of loss, death, time, meaning, purpose, commitment, etc. Moving between moments of past, present and future, as civilisations fall and are rebuilt; as dead stars go out, only to be replaced by new ones that burn just as bright, and just as briefly. 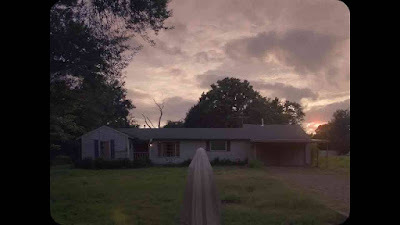 Then the film eventually comes full circle; returning to scenes from the earlier domestic life between Mara and Affleck, showing shades and variations of their relationship that tell a different, no less tragic story; one not necessarily about grief and death, but nonetheless centred on loss and the inability to move-on. The connection to all of these various events, the futility, the hope for something greater, the desire to move the stars so as to carve our own names (and others) in the night sky, or to say "I was here; I existed! ", was so beautifully realised that I actually cried.